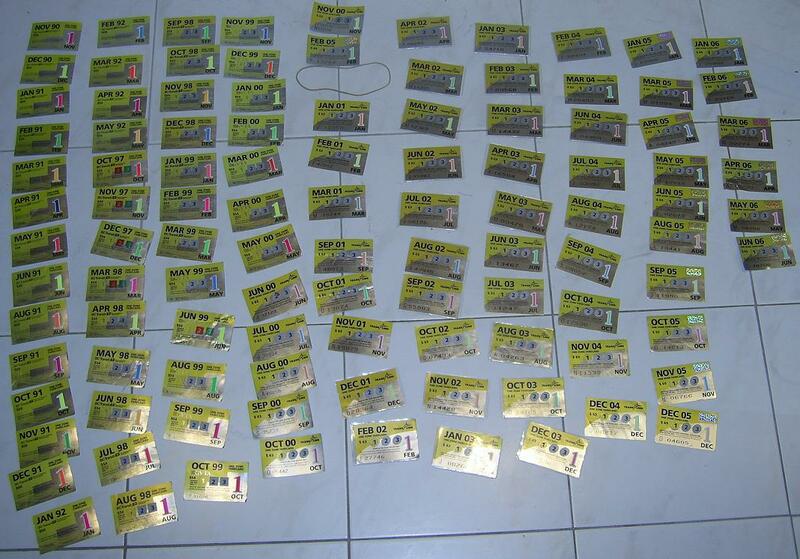 Bob sent along a snapshot of his collection of farecards dating back to 1990! Thanks Bob! A roundup of interesting tidbits and links about transportation from the last few weeks or so! The faregates and electronic fare card contract has been finalized with Cubic/IBM, our supplier. Here’s the official press release with more info. BCIT students recently voted in favour of implementing a U-Pass program at their school. Trade publication Network2Media discusses how Port Coquitlam has renewed its transit shelter ad contract with Pattison Outdoor. Interesting for some behind-the-scenes tidbits on the transit ad business. Seaplane operators want a Harbour Hub in downtown Vancouver. Here’s a video from the Sun discussing the project. I don’t know what happened, but this poor TransLink bus made it on to Fail Blog. Poor bus! ;-) sent in this fantastic video of Vancouver in 1940! Check out a small glimpse of transit at 1:23. Brief BBC blog post about the expansion of “automated train operation” on the tube network. Just fun to see how other places view automated trains! Also, another BBC blog post about public transport in London: a decade in numbers. LA Metro retired its last pure diesel bus in January 2011: now they’re only running “clean fuel” buses. Apparently Edmonton Transit has an unofficial “tweeting bus”: find it at @yegnumber9! Here’s an article about the bus too. A long long time ago Rob Chew sent me this link to a 1973 Labatt commercial featuring a Vancouver GM New Look bus. Nice! Jason Vanderhill also sent along a classic BC electric ad from 1926 that he found at the Vancouver Public Library. As well, he pointed me to a classic Buzzer issue from April 20, 1955, featuring 65 years of Vancouver streetcars in words and pictures! Good magazine has an interesting article about immigrant cyclists in Los Angeles, using bikes to get around because cars aren’t available to them. A topic that’s cropped up on the blog before: Jon Ferry wrote an article in the Province about licensing cyclists. TransLink in Brisbane is still dealing with the fallout from the immense Australian floods: Human Transit looks at the challenge of replacing their ferry service with bus service in the interim period. Fun history item: Toronto of the 1880s! And last but not least, my coworker and I were talking about whether urban planners or transportation planners ever get to take central roles in movies. And here’s a discussion list of urban planning movies we dug up! I’d completely forgotten that Who Framed Roger Rabbit had freeway construction in its narrative. Wow; I had had no idea what a mess the current plans for the new seaplane base are. An additional $12 per passenger on every flight is ridiculous. I wholeheartedly support the Harbour Hub alternative; is there any way TransLink can endorse it, as it would integrate better with the transit network? klparrot: Hmmm! I’m not certain we have an official position to endorse about the seaplane base at the moment, as it’s all still in the planning phase. Two questions re: fare cards. 2. Will the new ticket vending machines on the Canada line be usable with the new fare cards? While the vending machines on the Expo and Millenium lines are fairly old the ones on the Canada line were put into service 1.5yrs ago in August 2009. Most of the fare gates will be for those without awkward items. However one or two gates will be larger for luggage and wheelchairs. That how it’s one in Hong Kong. Jimbo: Here’s what the project team tells me. Thanks for your questions. Here’s some information that we hope will be helpful. We want to make sure that everyone can access our system easily, which is why we’re planning for some of the faregates to be wide enough to accommodate luggage, strollers and wheelchairs. These faregates can be programmed to remain open longer to give commuters ample time to pass through without assistance, ensuring that passing through the faregates is convenient for all customers. The ticket vending machines currently in place along the Canada Line are new enough that they can be adapted to be used with electronic fare cards – this is an option we’re going to explore as we move ahead with the system design this spring, and it’s our hope that we can work with the existing Canada Line equipment as much as possible in moving ahead with the electronic fare card and faregate project. What do you guys think about this shelter? Imagine how much space you need standing on a bus with a backpack and one of these outfits…. It’s good that the council unanimously approved the shelters contract. I have no qualms with the contract as explained. Does anybody know if there are ways to get volunteers to build these things for free? Maybe a high school industrial education program?